When looking at the qualities of a major company’s CEO, having consistent and confident ideas about the future is a good start. Fiat Chrysler and Ferrari CEO Sergio Marchionne doesn’t have that. He’s more like a Magic 8-Ball that gives a different answer about his company’s direction every time someone asks. The newest addition to Ferrari’s future, essentially decided by shaking up a dice cube of fortunes and spitting one out, is that Ferrari could go electric one day. Marchionne, an avid hater of electric cars who once couldn’t bear the thought of an electric Ferrari, told Bloomberg if the all-electric trend hits supercars, Ferrari will be the first to build one. What? Is someone messing with Marchionne’s horoscopes and fortune cookies for the fun of it? 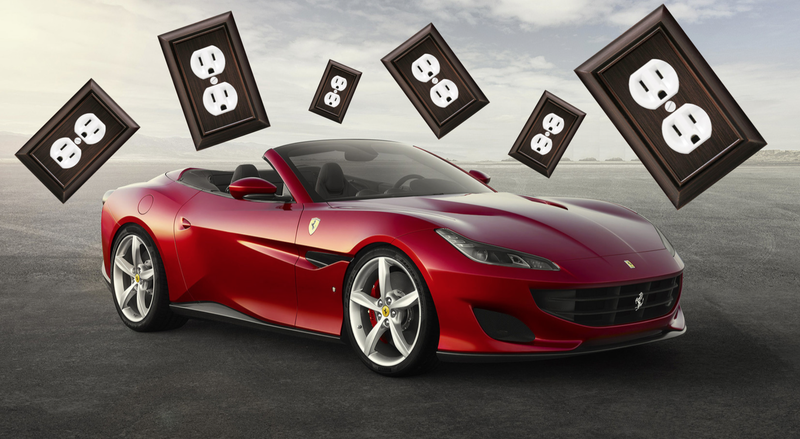 March 4, 2016: “With Ferrari, [an electric car]’s almost an obscene concept.” Marchionne added that there will never be an electric Ferrari because engine noise is so important to the experience of driving one. Former Ferrari boss Luca di Montezemolo said in 2013 that there would be no electric Ferraris while he was around, so at least Marchionne kept with the same idea for a few years. Di Montezemolo left in 2014, saying the company was “now American.” He also said a Ferrari is “like a beautiful woman; you must desire her, you must wait for her,” so, uh, bye dude. But electric vehicles aren’t the only popular automotive trend Marchionne has no idea what he wants to do about. The Ferrari SUV that’s totally, actually, really happening now wasn’t always his intent, despite crossovers and SUVs being the quickest and easiest way to make stacks of cash in car sales right now. Oct. 9, 2017: “We’re dead serious about [building a Ferrari SUV]. We need to learn how to master this whole new relationship between exclusivity and scarcity of product, then we’re going to balance this desire to grow with a widening of the product portfolio.” Marchionne, however, does not call it an SUV. He and the company call it an “FUV,” for “Ferrari utility vehicle,” because they’re too weak to admit they do, eventually, give into the trends. With Ferrari eventually conforming to the popular, money-printing car trends, one has to wonder what Marchionne will do about self-driving technology and autonomous Ferraris. After all, it doesn’t seem right to mix such a driver-oriented car brand with technology that takes away the human driving. Marchionne feels that way, too. You’ll have to shoot him first.